Standard & Poor's lowered its opinion of Ford Motor Co. stock to sell from hold -- citing “valuation” reasons -- after Ford's shares rose above S&P's target price of $9. A definitive Volvo sale agreement is expected in the first quarter, and the deal should close in the second quarter. 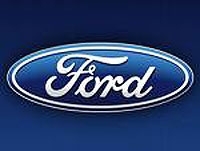 Ford stock closed above $9 on Dec. 10. Yesterday it closed at $10.20 a share after briefly touching $10.37 for a 52-week high. The 52-week low was $1.50. Today's high reached $10.29 before closing down 1 percent at $10.11 a share.